Shangri-La Hotel, Bangkok offers a range of special wine-and-dine offerings for guests to enjoy at their choice among the hotel’s restaurants this March. Shangri-La Hotel, Bangkok celebrates and commemorates the Easter holiday with an ultimate gourmet Easter brunch seasoned with fun activities for children at NEXT2 Café on 27 March 2016. 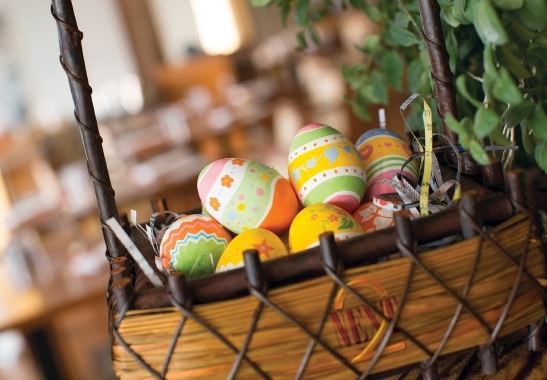 The Easter brunch is priced at Bt2,500 net for adults and Bt1,250 net for children aged 6 to 11 years old. 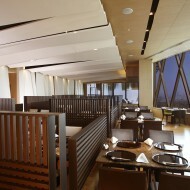 Lucky guests are entitled to raffle draws for an accommodation and dining experiences at the hotel. 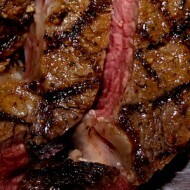 Guests may celebrate over the restaurant’s international seafood buffet, which features a fresh selection including Alaskan king crabs, king lobsters, oysters from the three continents, a parade of aged cheese, salad, grilled food and flambé, and overflowing with more than two dozens of assorted desserts, chocolates, seasonal tropical fruits and ice cream. In addition to children’s favourite buffet items, NEXT2 Café has prepared egg-citing entertainment and activities for children, including an Easter egg hunt, close-up tricks by a magician, a drawing corner with balloon twisting and many more. 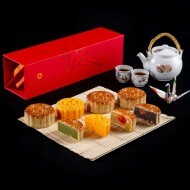 Chocolate Boutique at Shangri-La Hotel, Bangkok has classic house-made and melt-ilicious treats to help guests send Easter greetings during the Easter holiday. These Easter goodies will put a smile on their loved ones’ faces and include a box of six chicken chicks, a red and dark Easter egg, an Easter egg shell, an Easter egg dot and a bunny in an Easter egg. Prices range from Bt500 to Bt900 net per item. Guests can fill up their Easter basket with the hotel’s Easter goodies from 25 to 31 March 2016. Shangri-La Hotel, Bangkok’s Salathip will serve lobster, the king of seafood, prepared in exquisite Thai cooking style with four choices for selection from 1 to 31 March 2016. 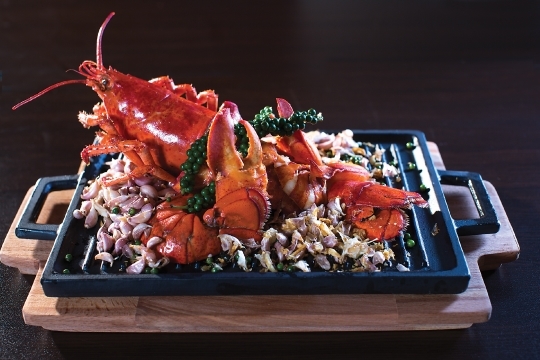 Diners may relish in the rich texture and decadence of lobster, which is renowned for its juicy and sweet taste. 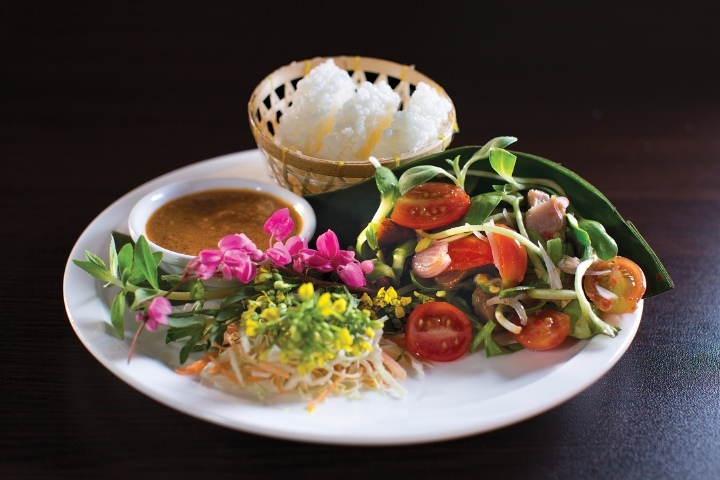 The lobster may be prepared in the simplest style of salad with kaffir lime, steamed with lime juice or deep-fried with garlic sauce and stir-fried with curry powder. 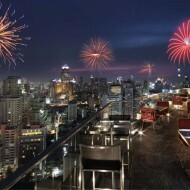 Live Lobster Royale promotion is available for dinner, along with the great atmosphere of the Chao Phraya River. A whole lobster is priced at Bt1,490++. 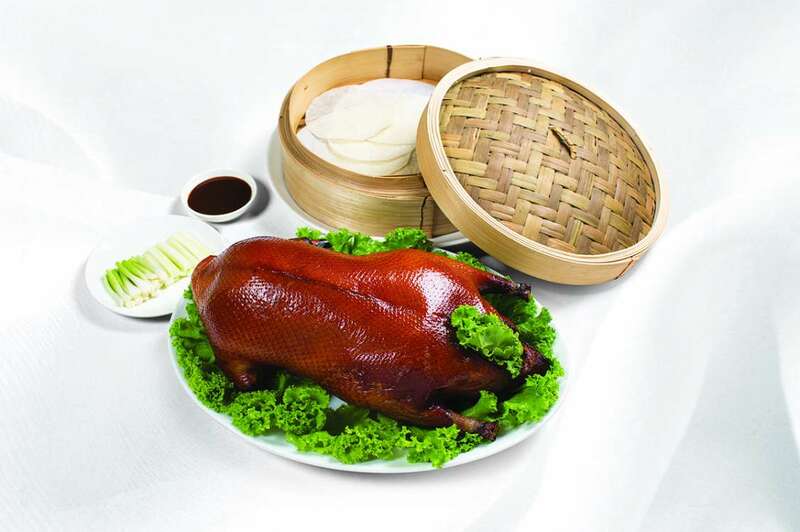 Shang Palace at Shangri-La Hotel, Bangkok introduces Peking Duck in two cooking styles using recipes passed on with care and pride. It is available from 1 March to 31 May 2016 for Bt1,800++ for the whole duck. The Hong Kong-style Peking Duck will be served in three courses: Crispy Duck Skin with House-Made Pancakes, Duck Legs served with Plum Sauce and Stir-Fried Duck Meat with Spring Onion and Ginger. 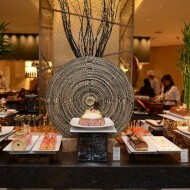 Guests ordering the three-course Shang Palace Classic may indulge in Crispy Duck Skin with House-Made Pancakes, Minced Duck served with Lettuce and Stir-Fried Duck Meat with Black Pepper. Shangri-La Hotel, Bangkok celebrates Earth Hour by switching off all non-essential lights during this special hour between 8:30 to 9:30 p.m. and offering a special set menu at Salathip and drinks at The Long Bar in an environmentally conscious atmosphere. On Saturday, 19 March 2016, guests may enjoy a romantic dinner in Salathip’s candlelit setting. The set menu includes such delicious dishes as Crispy Rice Cakes with Organic Mushroom Sauce, Spicy Banana Shrimp Soup with Lime Juice, Green Curry Grouper with Organic Vegetable, Deep-Fried Thai Chicken with Fish Sauce, Fried Rice Sardine with Tea Seed Oil and Black Sticky Rice Dumpling in Coconut Milk. This special Thai set menu is priced at Bt 1,890++ per set and will be on offer until 23 March 2016. The Long Bar offers two drinks commemorating the one-hour lights-out initiative. The Switching Mocktail, a mixture of high-quality Rose Hip Tea, Roselle Juice, Lime Juice and Jasmine Syrup, is priced at Bt220++. Guests who prefer a bit of alcohol may try the Lighting Cocktail. 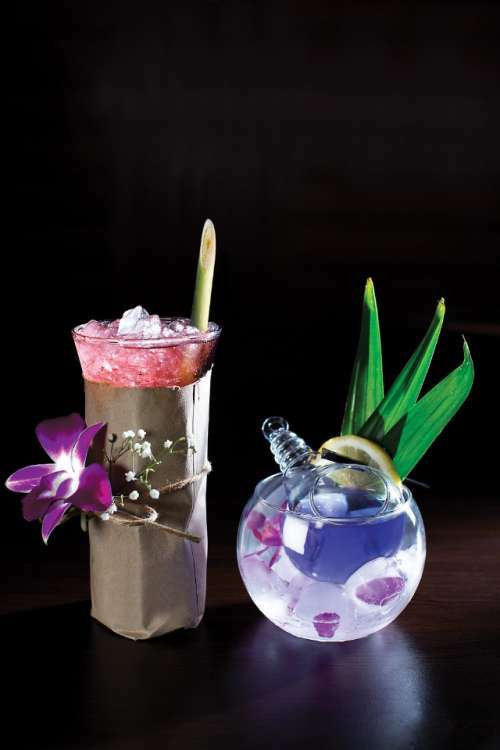 The mixologist uses Mekhong, Thailand’s popular liquor, mixed together with house-made butterfly pea-infused Pandan Juice, Lime Juice and honey syrup. The blue cocktail served in a light-bulb-shaped glass is priced at Bt290++. For more information and to make a reservation, please call Shangri-La Hotel, Bangkok’s restaurant reservations desk on 02 236 9952 and 02 236 7777 or send an e-mail to restaurants.slbk@shangri-la.com.